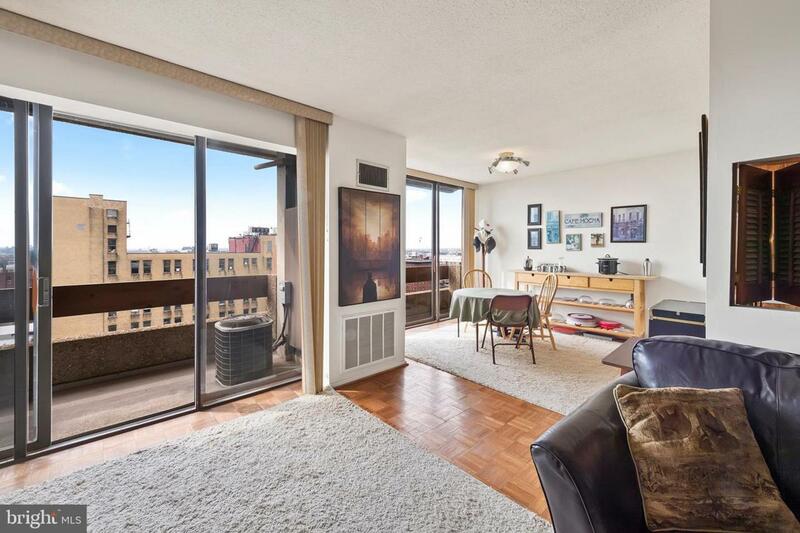 Large one bedroom home with a sunlit south facing view and a terrace! 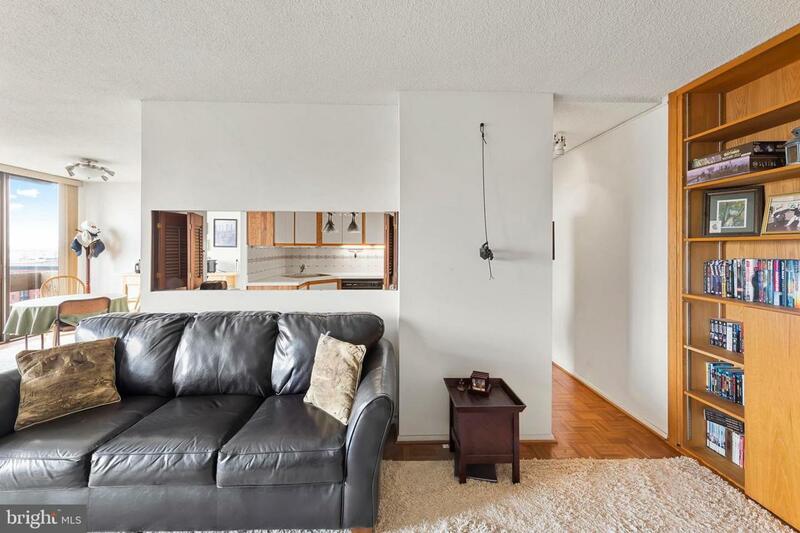 This L shaped living room/dining area with floor to ceiling windows features hardwood floors and has a laundry area off of the kitchen. 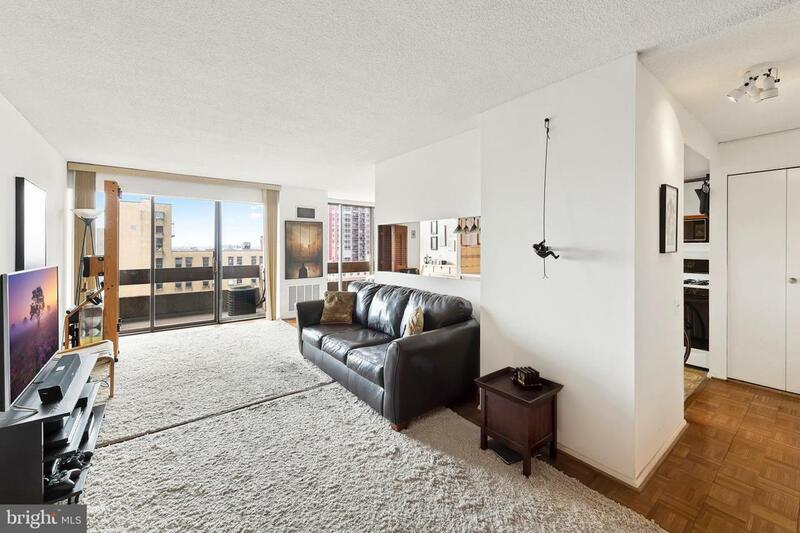 Center City One is known for their closet space and this home is no exception. There is a built in desk/storage area off of the living room which can be changed back to a deep coat/storage closet. In addition, there is a linen closet and a large walk in closet in the bedroom which faces south as well. 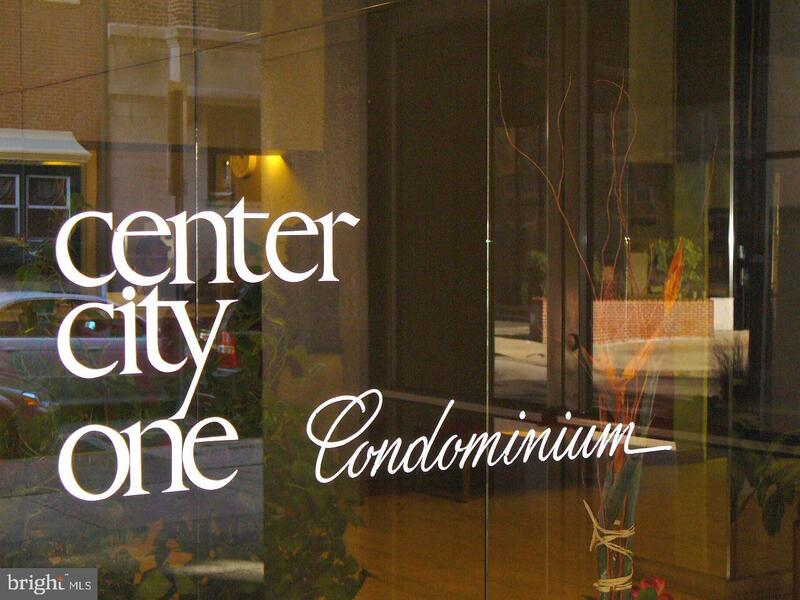 Center City One is a well run condominium building with a 24 hour concierge, and it is located across the street from the Wilma Theater. On the other side of the Avenue of the Arts, you will find the Academy of Music and The Kimmel Center. The location of Center City One is so central that you can walk to Society Hill or Rittenhouse Square and just as easily to City Hall and The Reading Terminal. Home is leased thru 4/30/2019.